Q&A after our screening at the Genesis Cinema, 13/12/12. L-R: Niall Phillips ('Ollie'), Fiona Ryan ('Claire'), and writer/director Alex Barrett. Q&A after our screening at the Genesis Cinema, 13/12/12. L-R: Niall Phillips ('Ollie'), Fiona Ryan ('Claire'), writer/director Alex Barrett and host Anna Delaney. To celebrate this weeks release of our DVD in the UK and Ireland, we thought we'd look back to the shoot with this set tour, hosted by our 'Claire', Fiona Ryan. Buy the DVD here: http://amzn.to/TlCv3S. Q&A after the screening at the ICA, 09/12/12. 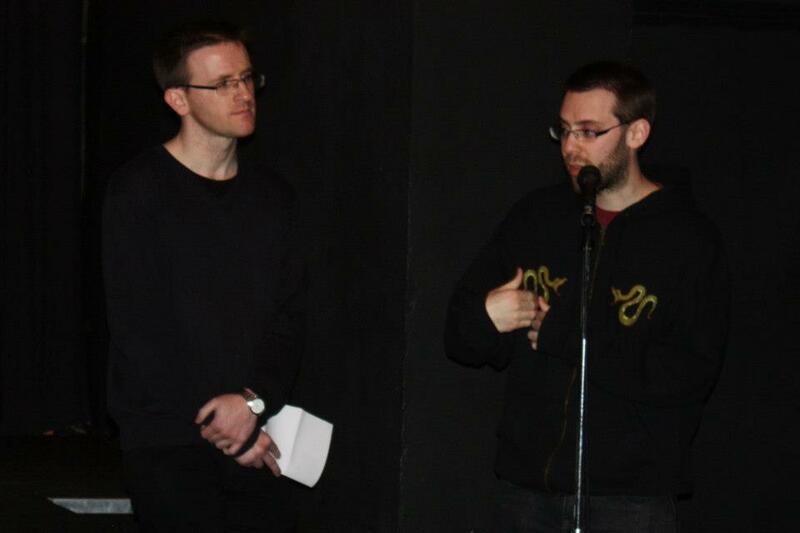 L-R: host Philip Concannon and writer/director Alex Barrett.